A U.S. Army soldier is required to keep high standards of dress and appearance at all times. 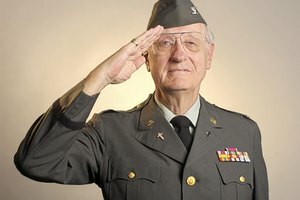 According to U.S. Army Regulation 670-1, "A neat and well-groomed appearance by all soldiers is fundamental to the Army and contributes to building the pride and esprit." 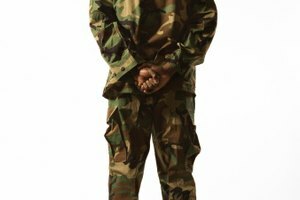 A soldier should always project an image of discipline and order, starting with the appearance of his uniform. The uniform must not only fit properly, but be clean and pressed as well. 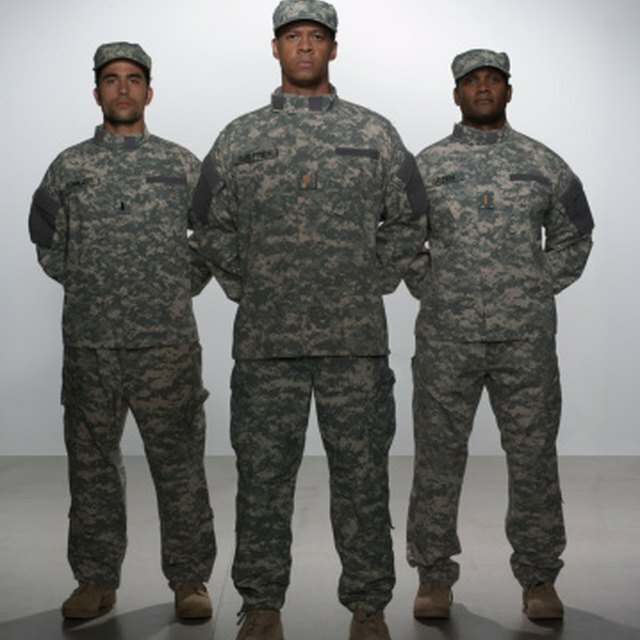 Above all else, the soldier's uniform must conform to service standards, including the placement of all patches. An insignia patch with the inscription "US ARMY" is located above the left breast pocket. This patch shows that the soldier's assigned branch of service is the U.S. Army. A patch bearing the soldier's last name is worn on the top edge of the right breast pocket of all uniform coats and shirts. The U.S. Army requires a soldier to wear a patch representing her current unit assignment. This patch must be worn on the left shoulder of the soldier's uniform. The soldier's current unit assignment is also represented by a patch worn on the front of her beret. A soldier with prior combat service may also wear a patch representing that unit on her left shoulder. 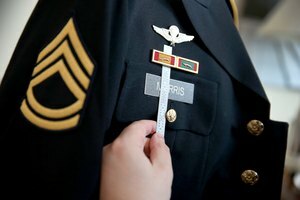 A soldier's rank is always prominently displayed on the left sleeve of his uniform. A patch with a reverse image of the U.S. flag is worn on the soldier's left shoulder. This patch differentiates the soldier from allied and enemy forces. The flag is displayed in reverse with the field of stars towards the front of the soldier's uniform so that to an observer the flag will appear to be flying in a stiff wind on a pole that is held by the soldier. If a soldier has earned a Ranger, Special Forces or Airborne qualification, a special patch to indicate this distinction will be worn above the unit patch on the left shoulder. Jennifer Mackinday began writing professionally in 1996. Her work has been featured in the "Workplace Safety" magazine, "The Herald Times" and on various websites. Mackinday's first book, "Friends for Life: Strangers Brought Together by the War in Iraq," was published in May 2009 and earned honorable mention in the 2014 Eric Hoffer Book Award for Legacy Nonfiction. She holds an Associate of Arts in general studies from Indiana University and is currently a fellow with the Elizabeth Dole Foundation. Mackinday, Jennifer. 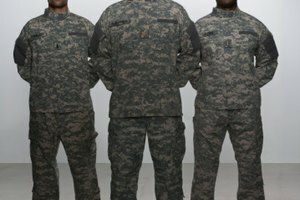 "Meanings of the Patches on Army Uniforms." 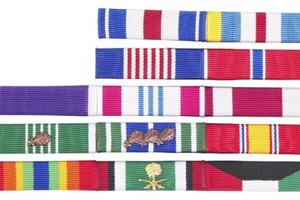 Synonym, https://classroom.synonym.com/meanings-of-the-patches-on-army-uniforms-12083308.html. 29 September 2017.